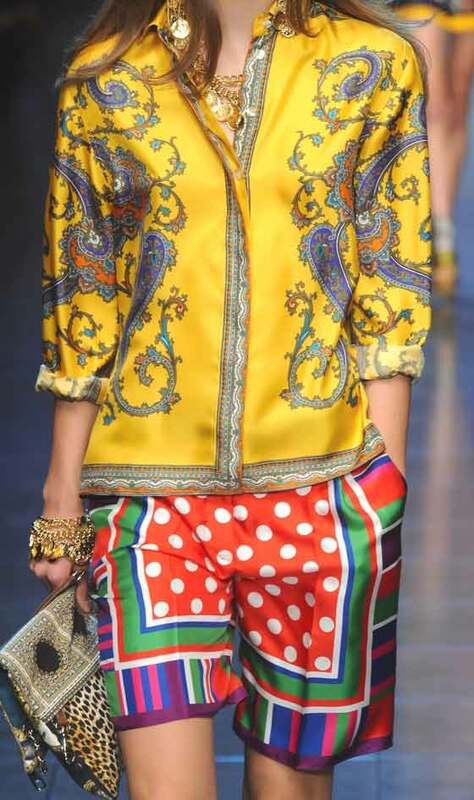 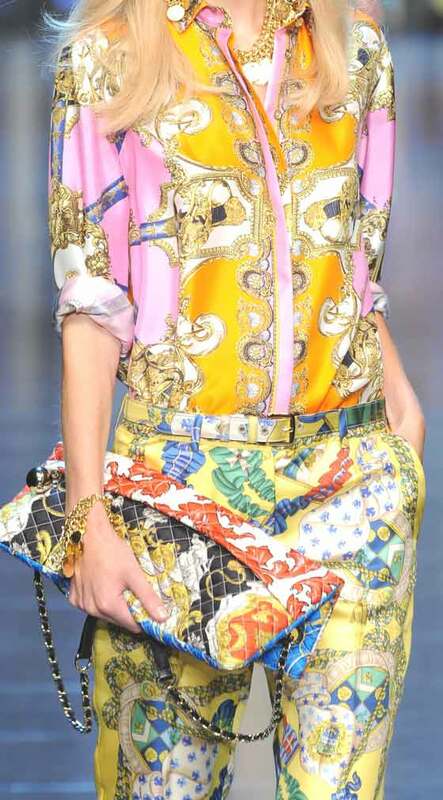 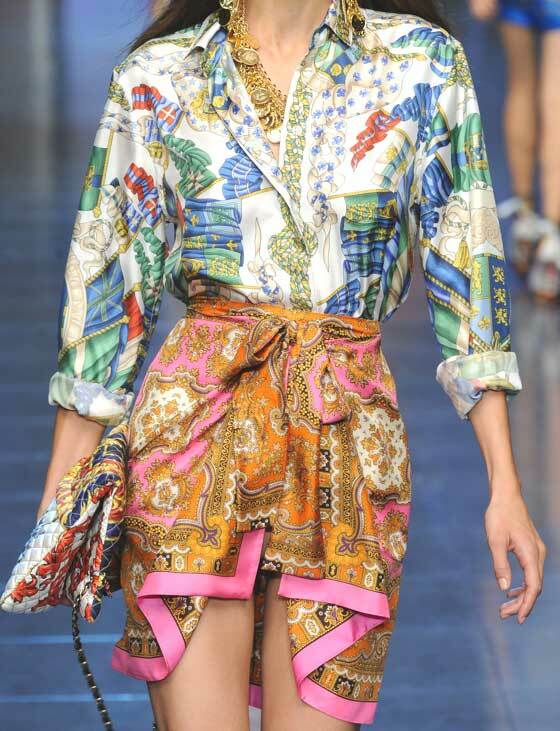 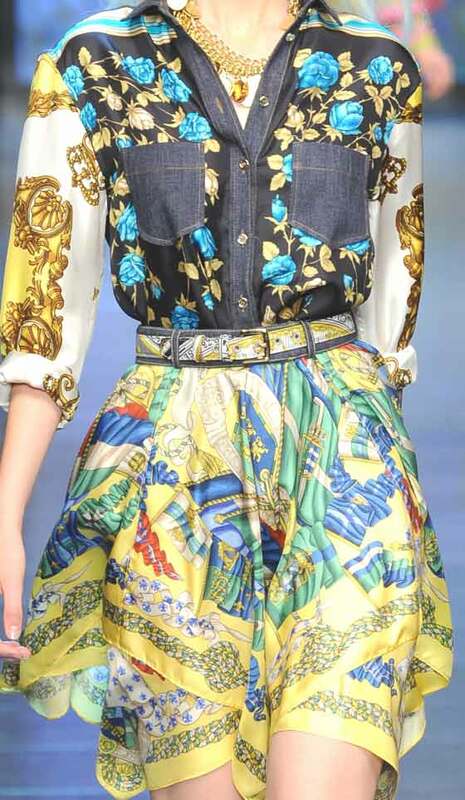 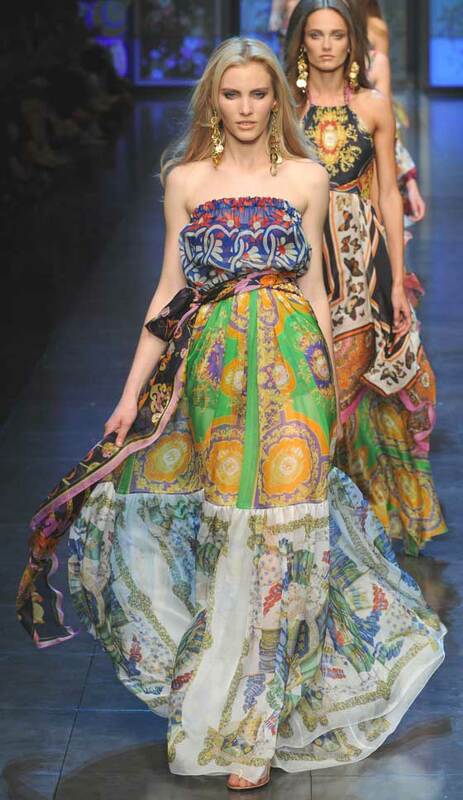 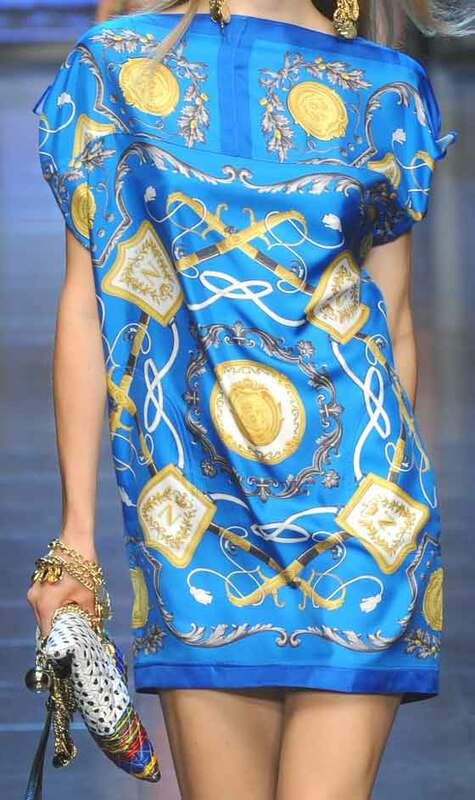 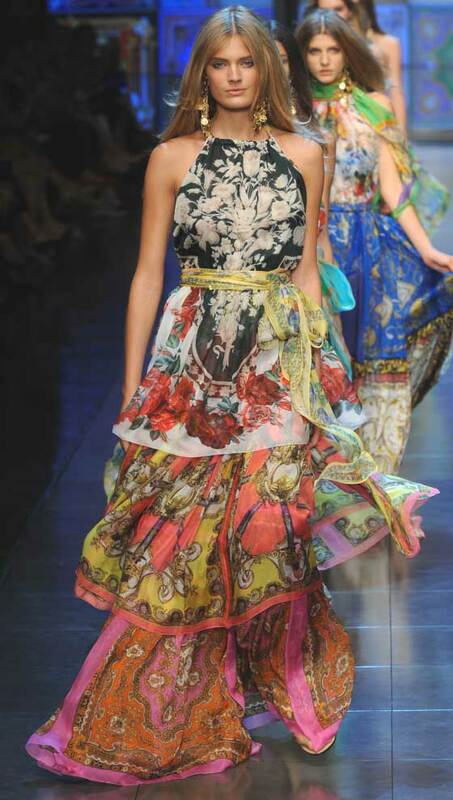 A woman spring/summer 2012 collection with amazing sparkling and colored prints, the last of young line D&G, that stops existing as brand and it will join in the first line Dolce&Gabbana. 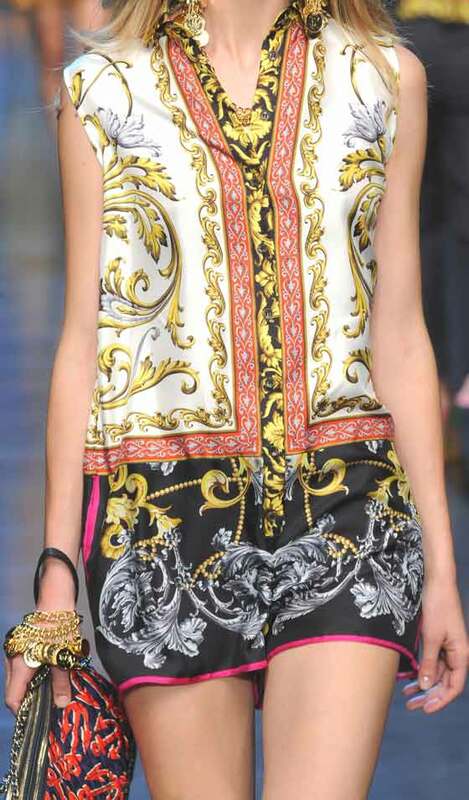 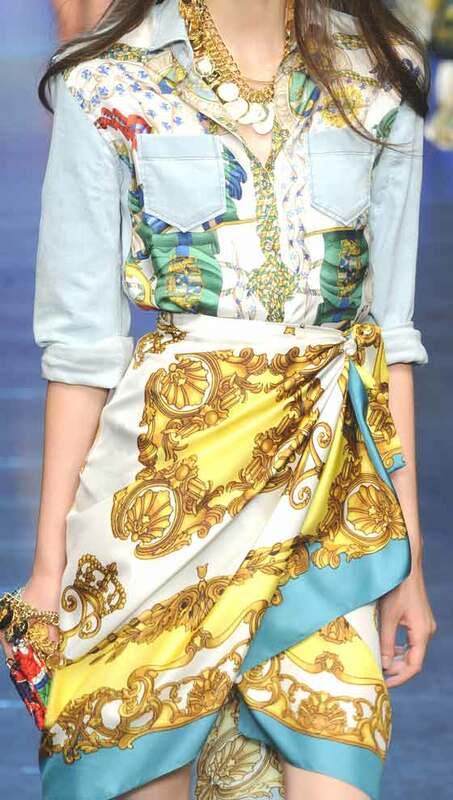 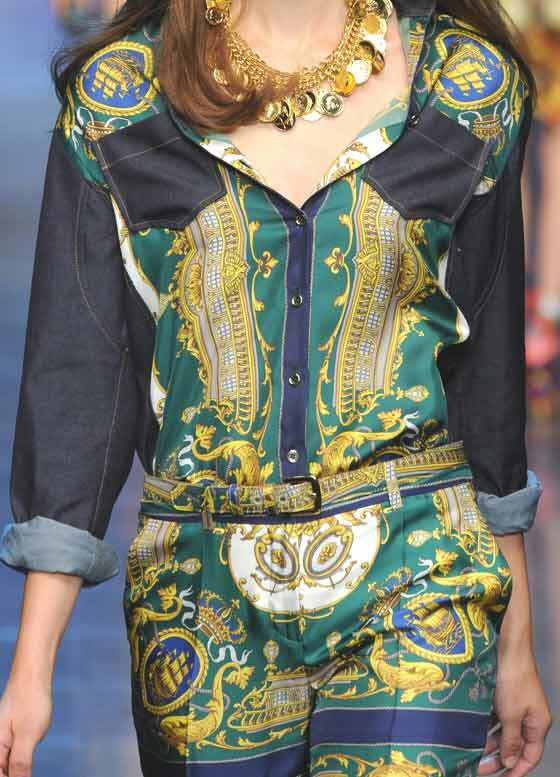 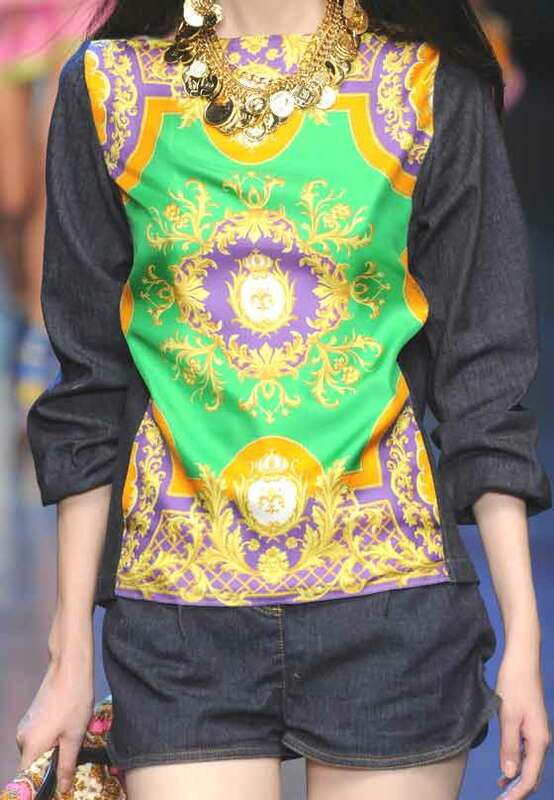 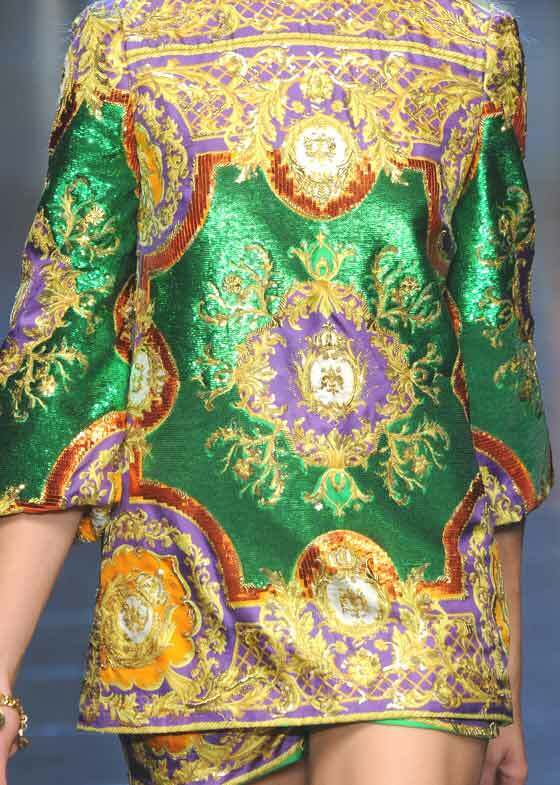 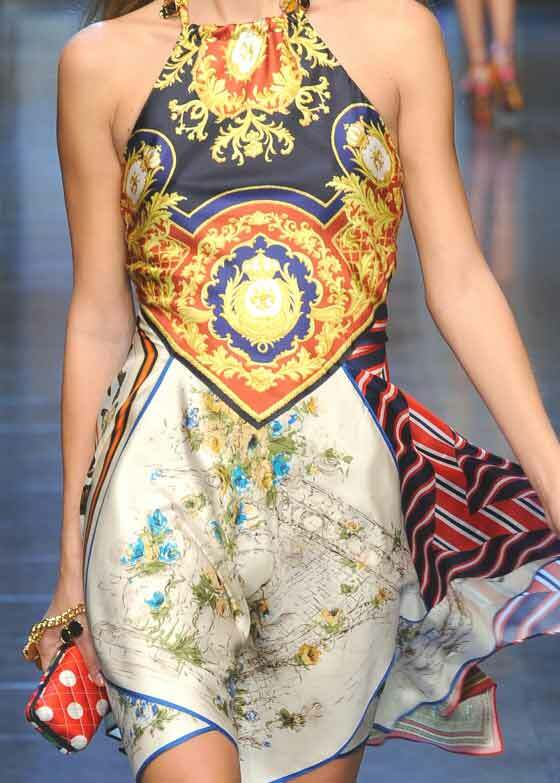 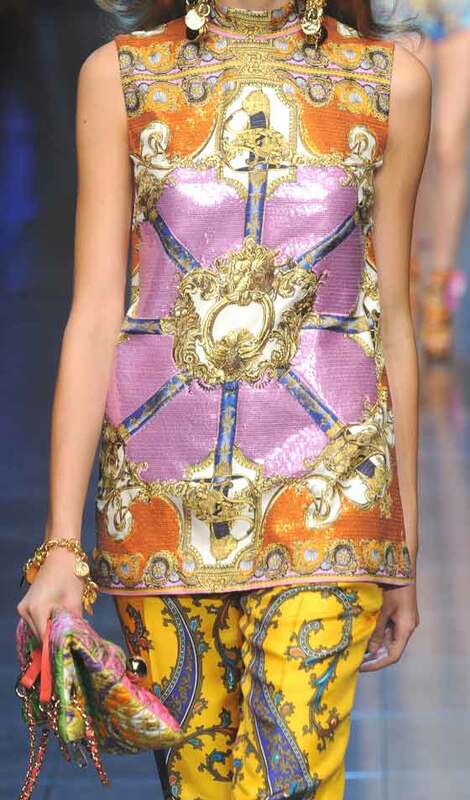 Really very beautiful the fabrics with foulard-print that not only characterizes the suits, but also the accessories. 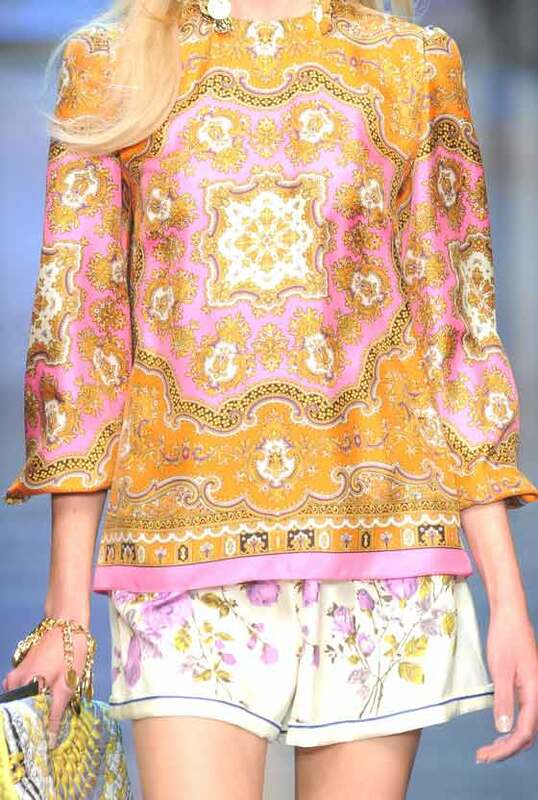 Subjects like butterflies, flowers, baroque decorations, abstract motives or trimmings interlacements. 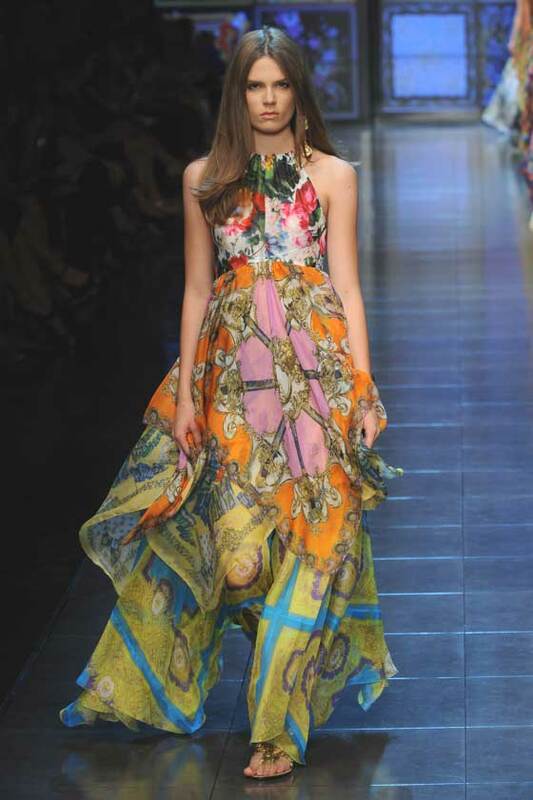 These pictures, statics, don't do justice to microlight silks and chiffons, elegantly fluctuating, seen in catwalk in Milan Fashion Week.